Who or what is Mitex Holland? Mitex Holland is a very popular brand in the African textile market. A long-standing family company, they are famous for manufacturing high quality fabrics with unique designs. Based in the Netherlands, they often update traditional and beloved West African print designs and bring them up to date in contemporary fabrics and finishes. A global brand, their fabrics are supplied by specialist dealers around the world. 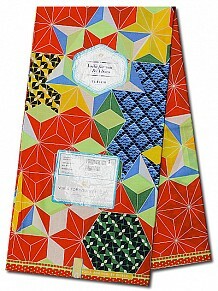 Mitex Holland Wax Prints are fabrics printed with the traditional West African wax print combinations. Designs feature geometric and circular shapes, in earthy colours such as oranges, greens and browns. This creates a natural, classic look, sometimes uplifted with small hints of livelier blues, pinks and reds as a surprising contrast! These beautiful fabrics are often purchased to make traditional suits and dresses to suit a really wide range of occasions. Mitex Holland also produce some more eye-catching (blinging even) fabric! Their Gold Wax fabric comes with various shapes, colours and patterns printed onto high quality cotton, finished with the all important dazzling gold lurex! Whether you want to bring some glamour to your everyday clothes, or you want to stand out at a big family wedding or occasion, you need to snap up some Mitex Holland Gold Wax fabric. It’s not for shrinking violets, so wear it loud and proud! Still special but a little more subtle are the Mitex Holland Lace Wax fabrics. Made from high quality, durable cotton, these stunning prints include delicate embroidery with bold colours and prints. 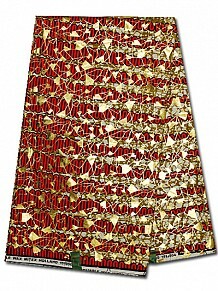 The vivid designs create the real, traditional West African look and make perfect evening wear for both men and women. 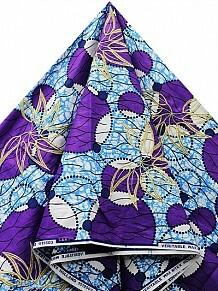 These are classic West African designs, made with quality fabric. Empire Textiles are proud to stock many Mitex Holland designs, many of them on an exclusive basis. Check out our shop to find your perfect design. You won’t be disappointed!